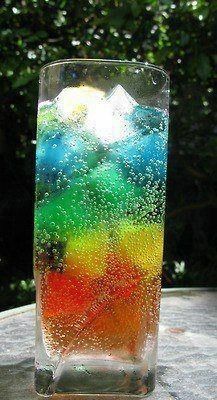 This Rainbow Drink is made with coloured ice cubes (with food color or fruit juices), stacked in tall glass and filled with sprite! So easy to make and refreshing!!! Next ›WHY WE SHOULD VISIT TEMPLES?